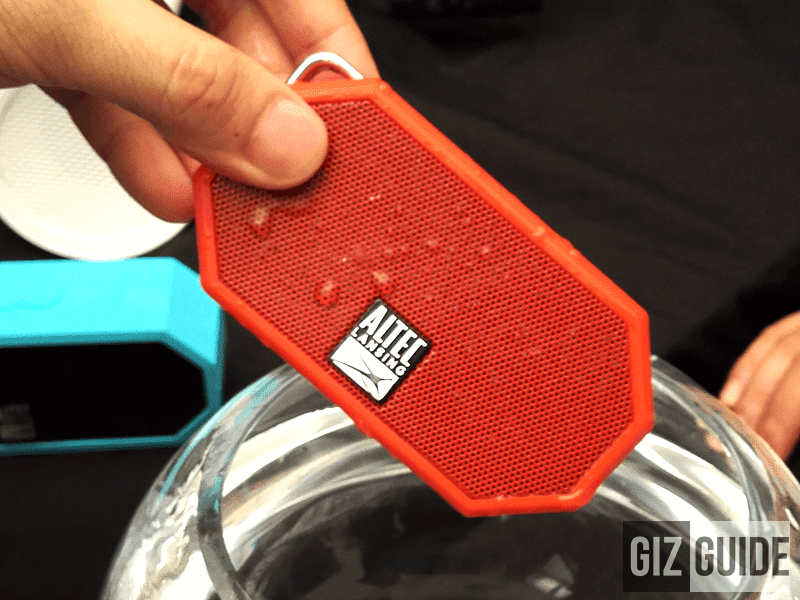 Altec Lansing Mini H20 Review, The Waterproof Speaker Which Small Size In But Big In Sound! Home / altec lansing / reviews / speakers / Altec Lansing Mini H20 Review, The Waterproof Speaker Which Small Size In But Big In Sound! Altec Lansing has been in the speaker business for so long, but that doesn't mean that they can't keep-up with today's technology. 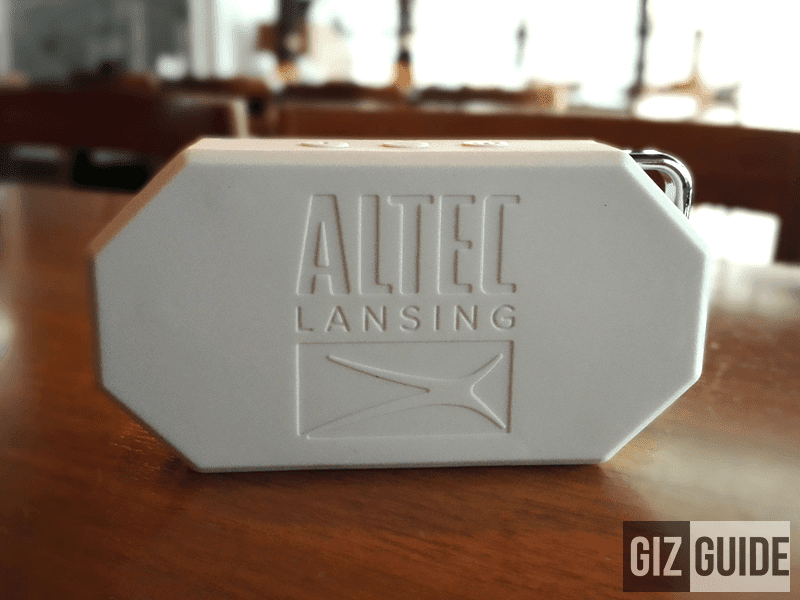 Recently, Altec Lansing showed the world that why they're an innovator, they just released a variety of their first of a kind "everything proof' speaker line. It's waterproof, sandproof, snowproof, rustproof and shockproof. One of them is this Altec Lansing Mini H20 speaker, an IP67 rated everything proof mini speaker with dual drivers, a lot of cool features and floats. Yes it floats when submerged in water. 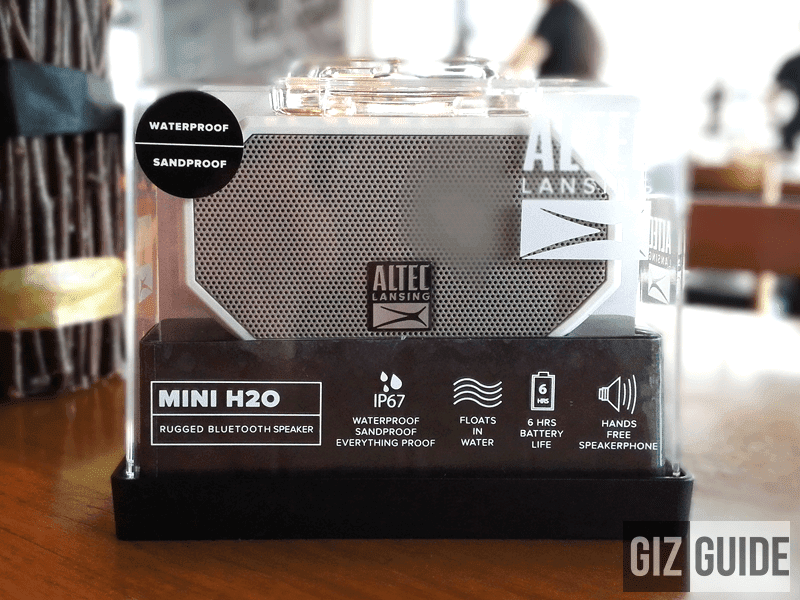 Altec Lansing did a good job here, the packaging / box of the Mini H20 looks good and portable too. It can even be re-used as a case for the Mini H20. Altec Lansing is pretty generous when it comes to the accessories. 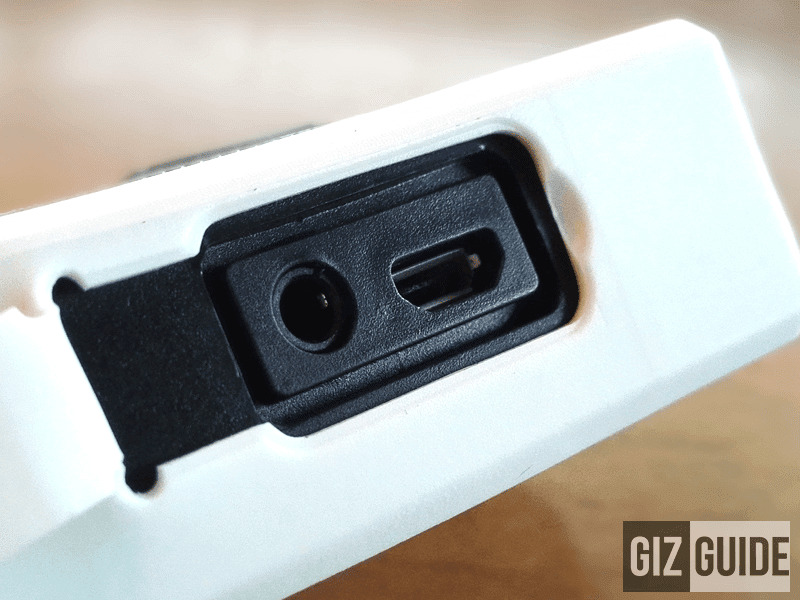 It comes with a 3.5 to 3.5 mm cables, charger and a hook for the integrated carabiner. What I missed here is they should have included a wall adapter for charging purposes. 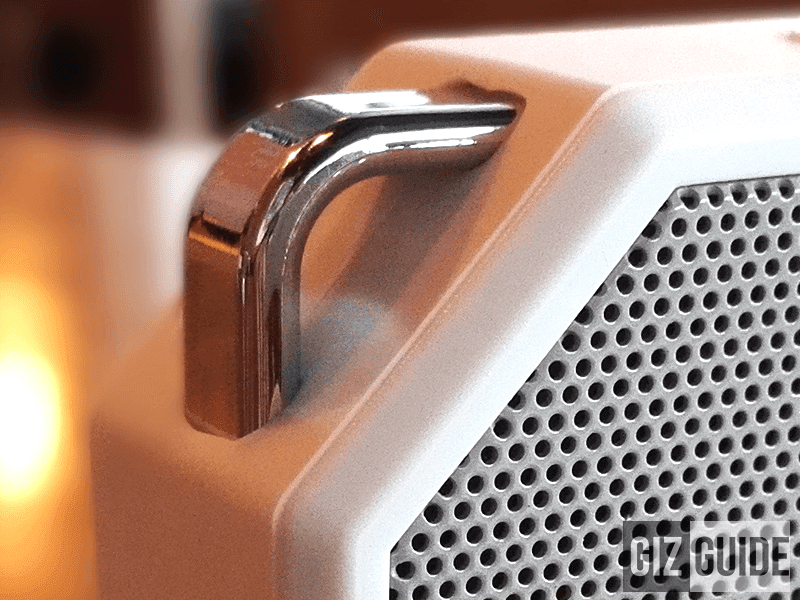 The design of the Altec Lansing Mini H20 is truly mini. It's slim enough to be pocket-able and doesn't feel heavy at all. It features a stretch octagon like body that's low profile and looks quite nice. The main specialty of the Mini H20 is it's rugged build. It comes with a removable rubber coating that makes the speaker resistant from shock. The speaker drivers also has a metal grill in front that adds more style and protection to the speaker. 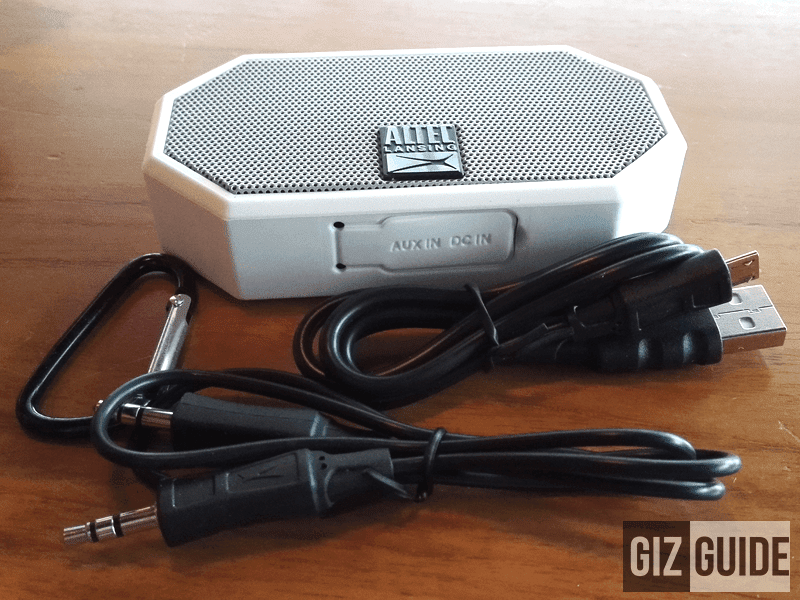 It I thought that the features found with the Kingone K99 speaker I reviewed few months back is already jam-packed, the Altec Lansing Mini H20 isn't left behind. It has an aux-in feature where-in you can connect your speaker to the player via cables, it also acts as a hands free speaker phone, has that "everything proof" ruggedness, floats in water and an easy to use controls (pause, play, next and back). I also liked that it has an integrated carabiner where-in you can just attach the speaker on your bag or bike with the hook included. While Altec Lansing failed to indicate the exact battery mAh of this device, they promised that the Mini H20 has a battery life that can last up to 6 hours. I'm glad to say that they're quite true their claims. The Mini H20 lasted for 5 hours and 45 mins in 50% volume and 2 movies straight at 80% volume. It's long enough considering the loudness and small size this speaker. Break-in or the Burn-in myth is true with this speaker. Honestly, the unit I got on first try was muddy, distorted and bloated which is generally not as good as the unit I heard in it's launch. After several days of having the device, it just keeps on getting better. As of this writing, I think it now shows its true potential. 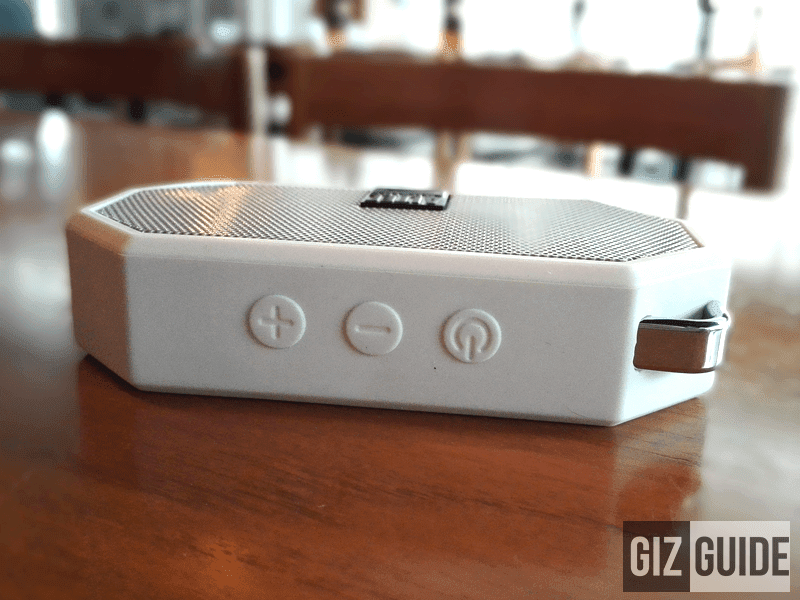 The Altec Lansing Mini H20 is a pleasant sounding speaker for the price! It features a near to balanced sound signature that tends to lean on the brighter part of the spectrum. The mids are quite clear and forward sounding,it's not like most of the budget speakers that always tend to have that big boomy irritating bass. The bass part is quite fast and detailed with sub-bass when needed, but my only gripe about it is it doesn't extend that much to my liking. While it's highs has that great extension and sparkle when you crank the volume too much it could be piercing and fatiguing. The overall sound is also not that detailed, but acceptable for the price. It also has a surprisingly wide soundstage for something this portable. Compared to the similarly priced Pyxis Funbox and Divoom Tour this one is much louder and detailed but less bassier, it can be a positive or not thing depending on your listening preference. Pro's - Big loud sound, everything proof, extremely portable, long battery life, easy to pair with Bluetooth devices. With the Altec Lansing Mini H20, you can take music almost everywhere you want. At 1,995 Pesos, there are very few quality speakers with these features which made it an acceptable buy even if it has some inconsistencies in sound quality. It's for those who wanted a listenable sound quality found on a small rugged speaker on the go.